28th – 30th May, 2017 – In May, Carbon Africa undertook a site visit for the verification of carbon credits generated under the Gigawatt Global CDM Programme of Activities (PoA). 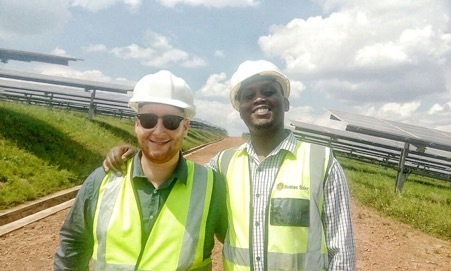 The project is an 8.5MW Solar PV power plant located in Rwanda, in the Agahozo-Shalome Youth village approximately 50 km from Kigali. The grid connected power plant, which began its operations in 2014, at time of commissioning raised Rwanda’s installed capacity by 6%. During the 16-month monitoring period, it is estimated that over 12,000 carbon credits, formally known as Certified Emissions Reductions (CERs) have been generated. Carbon Africa plays the role of the carbon asset developer for the project.